Wolfsburg - After almost a decade in the Bundesliga, VfL Wolfsburg defender is one of the league’s most consistent performers, using his imposing physique to great effect at both ends of the pitch. In an exclusive interview with bundesliga.com, the Brazilian discusses the Wolves’ start to the 2014/15 season, the demands of modern football and his plans to become a German citizen. bundesliga.com: Naldo, not only are you playing superbly at the back but you’re the most dangerous defender in the Bundesliga at the other end of the pitch too, scoring at least twice in nine of the last ten seasons. Given your eye for goal, why didn’t you become a striker? Naldo: When I was a kid I only ever wanted to be a striker but when I joined my first club they converted me into a central defender. Every coach I played under knew I can be very dangerous going forward, though, especially at set-pieces and corners. For example, at Werder Bremen under Thomas Schaaf, one of the holding midfielders would always cover for me whenever I joined in the attack. Dieter Hecking trusts me too. I hope I can score plenty more goals for Wolfsburg and justify his faith in me. Naldo: You’re forgetting about ! He’s a fantastic forward and pretty much always scores. He got a lot of goals for us last season and already has three this term. But there are always times when a striker or an attacking player doesn’t score for a couple of games, and that’s when the other players need to step up and support him so that he can recover his confidence quickly. If we all work hard together then that should happen. bundesliga.com: Are the days gone when all a coach needed to say was ‘go out there and play football’, as Franz Beckenbauer did? Naldo: Today people obviously talk a lot more about systems and formations, about whether to play a 4-3-3, a 4-4-2 or a 4-3-2-1, about pressing and counter-pressing and about the direction runs should be made in. But I think what Franz Beckenbauer was trying to say back then when Germany won the World Cup was that players shouldn’t overthink things on the pitch and instead enjoy themselves. Only then can you give 100 per cent. That’s as true today as it was then. bundesliga.com: How long does it take to hone tactical concepts, like which runs a player should make, when a lot of new players need to be integrated into the side in the summer? 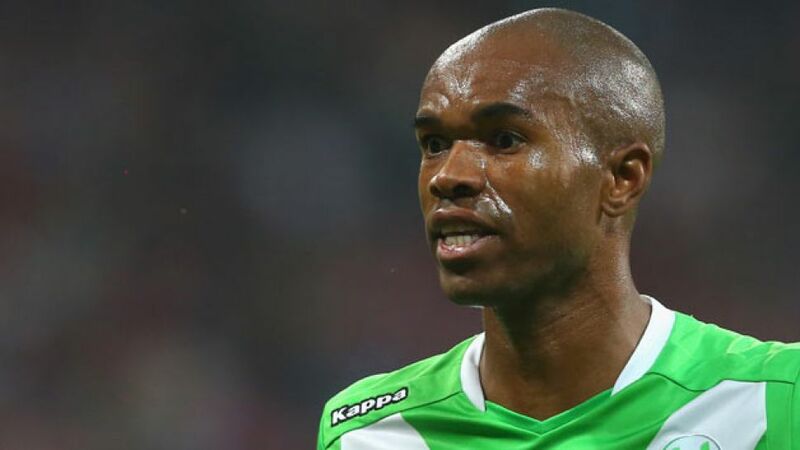 Naldo: It’s difficult to say. Sometimes it works straight away and sometimes it takes a bit of time, which means you need to work that bit harder. That’s not a problem, though. The important thing is for everyone to pull in the same direction.bundesliga.com: You are planning on becoming a German citizen. Have you already taken the citizenship test? Naldo: No, but I think I can take it in November. bundesliga.com: Many of your Brazilian compatriots return to their homeland after retiring from the game. Why do you want to stay in Germany? Naldo: My children were born here, we feel at home here and we’re very happy. Our future lies in Germany. bundesliga.com: As a ‘Brazilian-German’, what did you make of Germany’s 7-1 victory over the Seleçao at the World Cup? Naldo: My children were really happy for Germany, they were definitely rooting for the Germans. It wasn’t that easy for me, though. After all, I’m a Brazilian first and foremost. It was humiliating to lose 7-1 in the semi-finals of a World Cup, conceding five goals in 20 minutes and that all happening in your homeland to boot. I spoke to afterwards and he told me that day was the worst he’d ever experienced as a footballer. But on the other hand I have no problem admitting that Germany had a great tournament and absolutely deserved to win the title. Germany and the youth development work that happens here have to be a role model for Brazilian football to follow now. bundesliga.com: Your last call-up to the Brazilian national team was in 2009 when Dunga was coach. He is now back at the helm following the World Cup and has selected older players such as Kaka and Robinho. Does that increase your chances of a recall? Naldo: To be honest I’m only focusing on Wolfsburg. If I can perform well on a regular basis then who knows, I might get another chance. But again, I’m only concentrating on Wolfsburg at the moment.